A2 Hosting is known for the company’s great products and their ability to host websites with much traffic and advanced setups. The hosting company also have great products for the smaller websites but in relation to the smaller and less advanced websites but in relation to the smaller websites A2 Hosting slightly higher prices that average has been a showstopper once in a while. 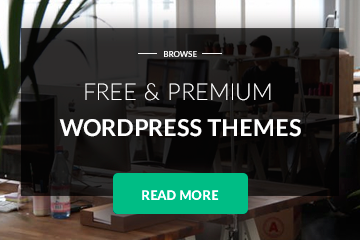 Now with Superbthemes new deal with A2 Hosting we have the pleasure to offer you the possibility to get a discount of up to 51% off price shared hosting. and you qualify to the discount. Please read our list over other A2 promotions as well and the individual A2 Hosting Coupon Codes that goes will the different offers. “Superb Offer” – Click here to automatically go to A2hosting.com and qualify for the discount. Remember to follow instructions and be aware that offers and instructions might have changed since we last visited a2hosting.com. Always follow the instructions on the A2 Hosting website. Please have in mind that all A2 Hosting Coupon Codes are Automatic, which means that all A2 Hosting Coupon Codes are applied automatically when you buy a product, which leads to a promotional offer. Press a A2 Hosting Coupon Code on this website and we will automatically lead you to and paste the code on the A2 Hosting Website. 51% off the price on your first billing cycle for your next Web shared Hosting package “Superb Offer” Click here to automatically go to A2hosting.com and qualify for the discount. Reseller Hosting – Get 34% off the price A2SELL Click here to automatically go to A2hosting.com and qualify for the discount. Dedicated Hosting – 17 % off the price “FASTSRVR Click here to automatically go to A2hosting.com and qualify for the discount. Please be aware, that all the discounts that are promoted on this and other websites are NOT applicable to Cloud VPS. All terms and conditions in relation to any A2 Hosting promotions apply according to the general terms and conditions on the website a2hosting.com. Also, please notice that A2 Hosting Coupons can’t be stacked and that the A2 Hosting coupons can’t be combined either. Finally, please recognize that all featured A2 Coupons and A2 Hosting Coupon codes are only valid to the first billing cycle. In the following section we will have a quick look at the A2 Hosting pros and cons in order to make it easier for you to make a choice of whether or not to use A2 Hosting as your next web hosting provider. Possibilities of a Turbo Server, which have b up to 20X faster page download then other servers. A2 Hosting offers an A2 Optimized WordPress with up to 6X faster page loads. A2 Hosting coupon code discount. Makes it easier for smaller websites to use A2 Hosting products without spending too much cash. A2 Hosting cons. The Price of the A2 Hosting products tend to be little higher than the markets average prices. A recurring question that is often asked when choosing a hosting company is about the company’s nationality. Many hosting customers prefer to have a hosting company, who has the same nationality as the customer. A2 Hosting started out in a two-bedrooms in Ann Arbor, Mi. Today A2 Holding has several service offices around the world but still US centered. A2 Hosting is a privately held company founded in 2003 and that is one of the things we really like about A2 Hosting. The companies are one of the quite few independent web-hosting companies that are left. The hosting market today has more or less been taken over by a few dominating companies that owns the market through a lot of sub brands. A2 Hosting is interesting as a privately held company and that they belong to the Midwest makes it even better. We are pleased with A2 Hosting and their product. There have been some users complaining about the A2 Hosting prices, but the A2 Hosting Coupon codes may help to reduce the prices of their products a bit. Nevertheless the question “How is A2 Hosting?” can be said very simple – great product, a little higher price than average on the hosting market. For a more thorough review of A2 Hosting, go to our review of A2 Hosting. We do think so – A2 Hosting is a great product. If you are looking for a solid Hosting provider, which is tailored to ambitious websites A2 Hosting is a great solution. 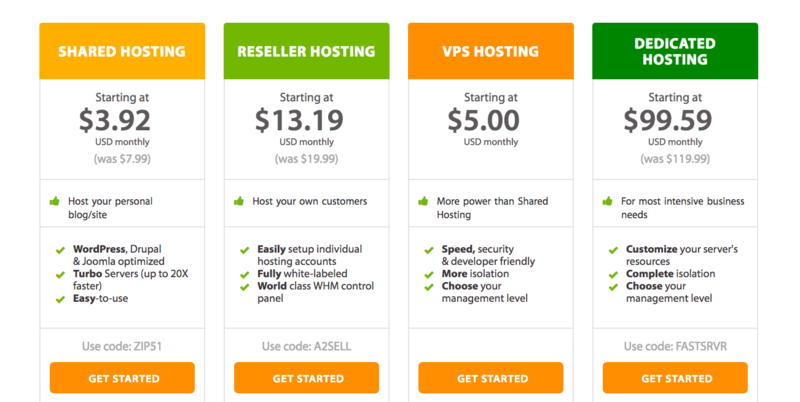 For smaller and less ambitious websites, go Namecheap or similar hosting providers instead. We do rate A2 Hosting very high. We do like the product for great and superior serverspeed, uptime, support and security and to a lesser degree prising. All-in-all, one of our top reviews. For more information, go to our A2 Hosting Review elsewhere on this website.